Al Alhy Benghazi (D1) added to their roster 27-year old American guard Devin Martin (193-93kg-92, college: Md-E Shore). He joins another USA player John Merchant which is already in the roster. 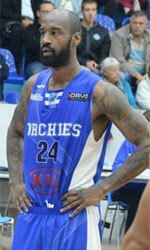 Martin started the season at Osorno Basquetbol in Chilean Liga Nacional. 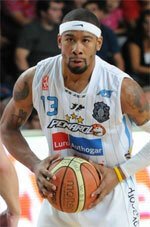 In three games he recorded very impressive stats: 16.3ppg and 3.0rpg this season. The last season he played at Lahti Basketball (1st Division) in league where in 19 games he averaged remarkable 17.3ppg, 8.4rpg, 2.2apg and 1.5spg. Martin was voted NABC All-District 15 2nd Team back in 2016 at his college time. Martin has played also professionally in Portugal (Sampaense). He attended Univ. of Maryland Eastern Shore until 2016 and it is his third season as a professional player.